I've realised I haven't explained on my blog what I was doing this December. I was going to do this anyway, actually I've been meaning to do this for a while now, but I thought Christmas would be the perfect time. That is to marathon read the Harry Potter series. It wasn't until I saw on Instagram there was a Harry Potter book and movie marathon, that I thought it was meant to be. 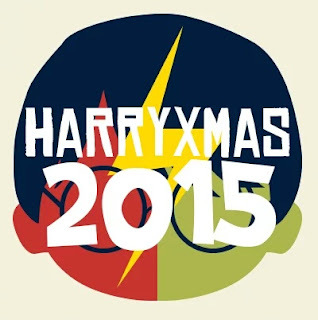 #HarryXmasToYou is a marathon of everything Harry Potter for the month of December. I won't be participating in watching the movies, with a four year old and a three month old, I just don't have the time. But I will be participating in the reading. Since I've been slack on the blog posts, I thought I'll do a daily update on my progress. So without further ado, let's start with day one. I didn't get a lot of reading done, the first day of December is the busiest (okay, every day is busy in my household). I'm not worried about this, I'm hoping to do at least finish the book on day two, since when I last read it (a very, very long time ago) I read it in one day. Don't worry, I question the way my brain works as well.